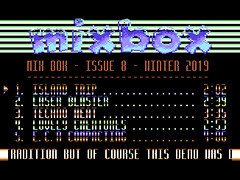 You can listen to new remixes on the AmigaRemix web page. The following Amiga music is added to the web page: Apydia - Meadow's Edge, Turrican 2 - The Wall, Gods (Godless Remix), Apydia - Game Over (Memorial), Varanen, Turrican 2 - The Final Challenge, Turrican 2 - Freedom Rocks, Echoing (2019 Metal Version), Cream of the Earth (Firefox Dirty Drummer Remake vs. Romeo Knight), Lost Patrol (Interlude), Turrican - Cyborg Dragon Remix, Turrican - Victory, Turrican II - The Great Bath and Enchanted Land - The Cave. 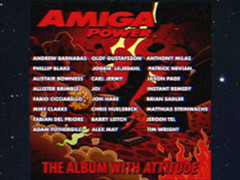 Amiga Power: The Album With Attitude is a new Kickstarter project. The goal of this project is to make an album with more than 30 new studio remixes of classic Amiga game tunes. Retro Ravi makes a monthly 8-bit mix podcast. In this episode: House. Retro Ravi makes a monthly 8-bit mix podcast. In this episode: Euroscene demo music. Ryan Liston released a music player and the music for the upcoming game Realms of Quests for the Commodore VIC20. You can listen to 18 tracks. The Amiga Paradise web page preserves the musical heritage of the Commodore Amiga since 1997. On this web page you can find more than 800 game / demo music titles. New: Super Tennis Champs, American Gladiators, Alianator, Alcatraz, Airborne Ranger, Air Bucks, Adrenalynn, 7 Colors and Dytec. Retro Ravi makes a monthly 8-bit mix podcast. In this episode: Trance Nation. 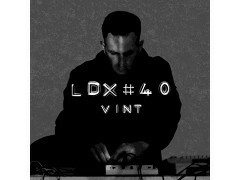 LDX#40 made a limited number of CD's with SID music to celebrate his 20 years in the SID music. On this CD: Labataan, Ghoxrin, Kelompok Dua Puluh and Count von Ghox. DAM makes remixes of SID music. You can listen to these remixes on SoundCloud: 2018 SID with $11 Heaven, Newsoft II, Arkanoid Remake, Hawkeye, Bruce Lee, Old Men In Used Cars 1, Degenerationskonflikt, OdDnB, Could be Cool, Old Men In Used Cars 2, Unboxed Rubricked, One Knight Stand, A Joint Resolution, Unboxed Intro, Lazy Bytes, Whiteout, Smile to the SkyND and a Ben Dalglish Tribute. 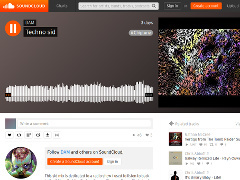 Digitalista started a new Kickstarter campaign to fund his SoundCloud Pro hosting. 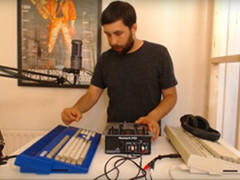 He is hosting a large collection Commodore Amiga/C64/Super NES music from the Demoscene. 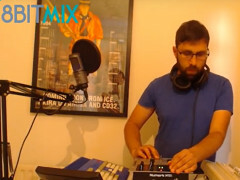 Richard Bayliss released another Mix Box with the following music: Island Trip, Laser Blaster, Techno Heat, Lovely Creatures and E.C.A Compacting. 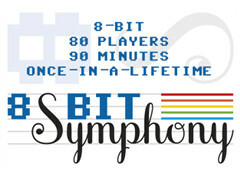 8-Bit Symphony is a retro game music festival. The event will be in Hull (UK) on the 15th of June 2019. The Hull Philharmonic Orchestra will play with 80 musicians for 90 minutes. There is an update available of the High Voltage SID Collection. There are now more than 51.300 SIDs in the collection. In this update 658 new SIDs, 66 fixed/better rips, 174 SID credit fixes, 27 SID model/clock info's, 1 tunes identified and 26 tunes moved. You can download the update from the HVSC web page. The HVTC or High Voltage TED Collection is an collection of music for the Commodore C16, 116 and the Plus/4. 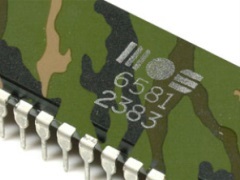 The files that are available, are the original programs that produce the music with the TED music chip. At the moment there are 630 files available in the database. The CGSC (Compute's Gazette Sid Collection) has had an update. The COMPUTE! 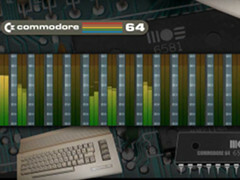 's Sidplayer was a music system, created by Craig Chamberlain and Harry Bratt, for the Commodore 64. The aim of the Compute's Gazette Sid Collection is to preserve as many of those Sidplayer music files in one location as possible. The current collection contains 15487 MUS, 4318 STR and 5354 WDS files. The AmigaVibes team made a mix of the music from the Birdie Party 2016: Jingle by JGG - AmigaVibes, RaztoR - Bushido Landeagle, Birdmeister - Rosa Heli, Difzebbe and Kasnek - Clairvoyance, M0onLight - Man ska vara glad, Corpsicle - Endolphins, O - Dark Mason, Mihien - When there is no inspiration there is untz, Hinkik - Time Leaper and Micken - over the hills. The AmigaVibes team made a mix of Amiga music, Amigalloween: Jingle - JGG, Transient - LJ & Virgill 2018, Anatomic Kittens - Extrapurrestrial Impawsibility, Focus Design - Strukton, Techno Choice - Pungas de Villa Martelli, Openoids - Archee, Lemon - Lemonade, Scoopex - Halloween 64K, Sanity - Interference, Translucent World / !Cube, Super Sonic - Craze, Scoopex - Halloween Cracktro and Halloween the 40th Anniversary Celebration Demo - Hokuto Force. You can listen to new remixes on the AmigaRemix web page. The following Amiga music is added to the web page: Byggsats 13, Xenon 2 Megablast, RSI Megademo - Wastelands, Disconnected, Midnight Resistance, Wolfchild, Oil Imperium, Turrican, Enchanted Lands, Jim Power, Wings, Flashback, RoboCop, Zool Rave, Starter, Elysium, Space Deliria, Stormlord, Leander - World Three and Amegas. The AmigaVibes team made a mix of the music from the Assembly 2018 Party: Jingle by JGG - AmigaVibes, Blood Moon 16kb - Byproduct / SceneSat, Inhumanae Chipremacy - Chipremacy, The Derelict - Ephmerix, Rise from the Ashes - Aikapallo, Boot Up Your Retro Warrior Within - GRiMM, Il Portabagagli - Jeff, Attack of the Mutant Projektbeschreibung, Mergente - ITEKI, Your Sunscreen Is Freezing - rawArgon, Synth Vice City - Merlucin, Blues at Alturis IV - Downgone / 242, Distant Thunder - Buzzer / Brainstorm, Summer in Hikikomero - Ihanalammas, Kalja - ukimies and Isidatta - Zardax / Artline Designs. A new episode of Commoflage is now available. This podcast is in the English language and you can hear lots of SID music. In this edition: Ben Daglish. Last Gamer made a tribute to Ben Daglish. 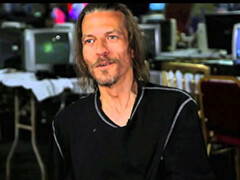 Ben, who passed away on October 1st 2018, was a legendary game music composer for the C64, Amiga, ZX Spectrum, CPC and other computers. A few examples are: Gauntlet, Trap, Deflektor and The Last Ninja. 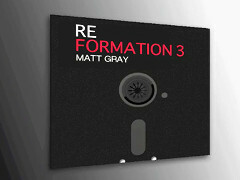 Matt Gray started a Kickstarter campaign to produce a third album of Amiga and C64 remixes. A few examples for this album are: Parallax, Wizball, Chimera, Spellbound, Cobra, Cybernoid, The Palace In Game and The Wastelands Loading Themes from LN1. DAM makes remixes of SID music. You can listen to these remixes on SoundCloud: Techno Sid 2 (47:23), Funky Sid 2 (49:26) and Electronic Sid (50:32). The AmigaVibes team made a mix of the music from the Riverwash 2016 Party: Jegougou - AmigaVibes Jingle, Szudi / Amnesty - Wizzard II, xtrium / LNX - On the spur, Xandra - IRP, Traymuss / ADDiCT ^ Futuris ^ Implexy ^ Nah-Kolor - Demolition, V0yager - Terminus Prime, X-Ceed - Accelerate, Aeon - Space EX, Shyz - Emotions, musk - Dream Loop, Argasek / Decree [feat. Jakim] - Skylight, Liv / Dreamweb ^ SciVFX ^ Wanted Team - Constellation Lyra, Raf - Mecenas z edytorn undoubtly blasting, Rover - Moze to rzeta z mleka, Jammer - Wanky Rainy Wah Wah, XTD / Lamers - Happy Washing, Dakti - Freed Electron, Le - Grill Party, Skipp / Nah-Kolor ^ Potion -Superscalar, Jakim - Trapped and Willy - Choc niewielu nas zostalo. You can listen to new remixes on the AmigaRemix web page. The following Amiga music is added to the web page: Torvak the Warrior - Level 1, Chuck Rock Theme, Shadow of the Beast, Amegas, SoundLogic, Turrican 2, Stormlord Moonshine Fox, Pinball Dreams and Xenon. Richard Bayliss released another Mix Box with the following music: Lazer Light, Apocalypse Master, Streets of Fury, Flash Light and Algorith Trance Machine. 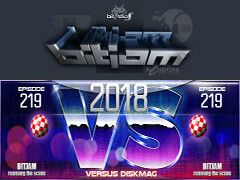 In this BitJam: 4-mat - Back Again, Aceman - Land of Flying Cubes, Blaizer - Drugstore Cowboy, Bruno - Oneway, Chaser - CyberBoogie, Chromag - Marionator, Curt Cool - Karate Geishas, Dascon & Virgill - Sphinx, Dizzy - Allnite Groove, Dluxe - Radical Insanity, Dubmood - Ninja Starts School, Esau - BlackEnuff, Frequent - Personal Breakdown, Heatbeat - City Lights, Hoffman - Hot Dots, Jazzcat - Boogie Town, Jogeir Liljedahl - Physical Presence, lug00ber - Spaceballs Emperor, Magnar - Rink-a-Dink, Moby - Bounga, Mygg - Mushroom Baby!, Obbe - Stuffbiten, Response - Inside My Brain, Subi - You Can't Control, Tecon - Childhood Glades, Triace - Spring Breeze, Wasp - Retrobution and X-Ceed - Lost. Total playing time: 1:18:32. There is an update available of the High Voltage SID Collection. There are now more than 50.700 SIDs in the collection. In this update 473 new SIDs, 811 fixed/better rips, 1176 SID credit fixes, 36 SID model/clock info's, 12 tunes identified and 22 tunes moved. You can download the update from the HVSC web page. Miloman is working on a new album with retro music. He creates music from the genres Techno, Trance, Electro, Dubstep, etc. 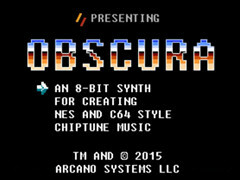 Obscura is an Arduino compatible 8-bit synthesizer that allows you to create NES, C64 and Amiga-style chiptune music by simply connecting a MIDI device. Retro Ravi shows his 8-Bit DJ setup. He uses real retro hardware with original software, no sync, just 8bit power and beat matching. 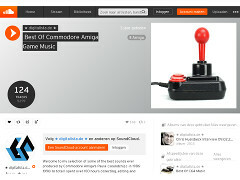 You can listen to new remixes on the AmigaRemix web page. The following Amiga music is added to the web page: Lethal Weapon Level 1, Speedball 2 Industrial Remix, Echoing (Remix), Turrican II Level 1 The Desert Rocks Remix, Gods - Into the Wonderful, Hybris Title Music (2018 Chill-out Remix), Lotus Esprit Turbo Challenge - Track 3 (Krull0r remix), Ghouls'n Ghosts - Continue, Turrican - Techno Dungeon (Level 2-2) and Wings of Death. Koen De Brabander started a new Kickstarter campaign. 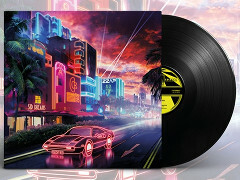 He wants to produce a Vinyl, CD, Audio Tape and a digital download that pays tribute to the amazing sound of the vintage 1980s synths and the Commodore 64 SID synth chip. 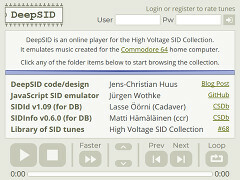 DeepSID is an online SID player that is developed by Jens-Christian Huus. The features are: Rating system, Fast forward, Time bar and STIL information. 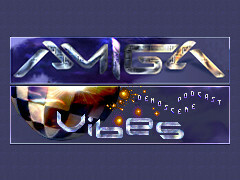 The Amiga Paradise web page preserves the musical heritage of the Commodore Amiga since 1997. On this web page you can find more than 800 game / demo music titles. New: T-Zero (CD32), Perihelion - The Prophecy, Vyrus, Reflexity and Ninja Spirit. 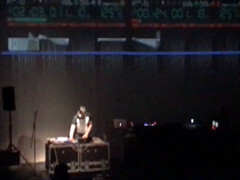 Retro Ravi aka The Formula performing a DJ set using 2x Commodore Amiga 1200's from 1992 during Nottingham Contemporary. Warming up for DJ Yoda - history of video games. The Amiga Paradise web page preserves the musical heritage of the Commodore Amiga since 1997. On this web page you can find more than 800 game / demo music titles. New: Ninja Remix, Rotox, Revelation, Necronom and Oktagon. Bob Zimmerman, Jeroen Tel and Leonard Evers have chosen the three finalist for the C64 music concert of April 14th. The finalist are: Vera van der Bie, Hinse Mutter and Alisdair Pickering. 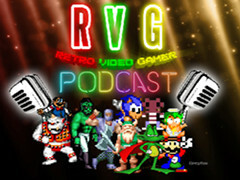 In this episode of the RVG Podcast: Chiptune Special with Electrocop - Atari Lynx, Black Hornet - Atari ST, Commando - Rob Hubbard - C64, Missile Command 3D - Jaguar, Raiden - Rough And Tumble - Arcade, Shadow of the Beast - Main Theme - Amiga, Time Trax - Title Tune (Tim Follin) - Sega Mega Drive, Turrican II - Main Theme - Amiga, Xenon - Amiga and California Games (Surfing) - Atari Lynx. A new episode of Commoflage is now available. This podcast is in the Swedish language and you can hear lots of SID music. Antonio Savona developed a digi player for the Commodore C64 with an EasyFlash or an 1541 Ultimate. The player can play music at a sample rate of 48kHz. You can try the demo on a real C64 or with the VICE emulator. 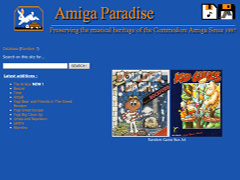 The Amiga Paradise web page preserves the musical heritage of the Commodore Amiga since 1997. On this web page you can find more than 800 game / demo music titles. New: Ringside, Pro Boxing Simulator, Ballistix, Nitro Boost Challenge, Metal Masters, Laser Squad, Airline, Globulus, Gemini Wing and Hawk Eye. 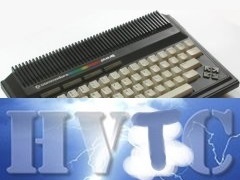 The HVTC or High Voltage TED Collection is an collection of music for the Commodore C16, 116 and the Plus/4. 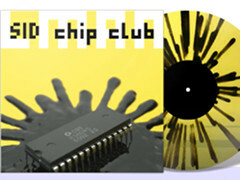 The files that are available, are the original programs that produce the music with the TED music chip. At the moment there are 608 files available in the database. You can listen to new remixes on the AmigaRemix web page. 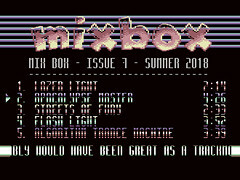 The following Amiga music is added to the web page: Panza Kick Boxing Intro - daXX Remix, Space Debris - daXX Remix, Occ-San-Geen - daXX Remix, Nebulus (Walkthrough Remix Radio Cut), Lethal Weapon - Level 1, Turrican 1 - Level 5, Apprentice (Piano a go go), Signia 2018 Remix, Clown-O-Mania, A Prehistoric Tale - Title Theme, Grand Monster Slam - Title Theme and Xenon 2 - Megablast (2017 Oldschool Mix). 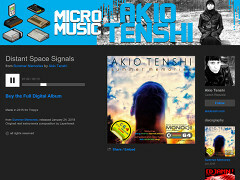 Akio Tenshi released a new album - Summer Memories - with C64 music. The tracks are: Distant Space Signals, Chinese Restaurant, Weather, Lost Friend, In Da House, Uncertain Plans, Summer Memories, Hot Style Intro, Colourless, Hexadragon, Trackmo Final and Magic Afternoon. 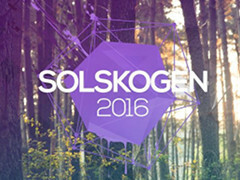 The AmigaVibes team made a mix of the music from the Solskogen 2016 compo Nuskool: jingle, gloom - T-808, Nainain / Resistance - The Moon - High Orbit, Bitbear featuring Modulo One - Pixel Perfect, Hansee - Music for Nerds, Proper dISCO - Roku Shi, T-101 - Escape, INVESTOR! - Poison, phobium - Minute Man, xeche - 7.5 x 253, Xerxes - In Bed with Leo, corpsicle INSAne ^ - Taktlos and RbR - Worst Played Intro Ever Reggae. You can listen to new remixes on the AmigaRemix web page. The following Amiga music is added to the web page: Gods - Into the Wonderful, Wings of Death - Level 2, Stardust Memories (MDK remix), Memorial Theme (Before and After) and Cousin's Song (Megaforce). The CGSC (Compute's Gazette Sid Collection) has had an update. The COMPUTE! 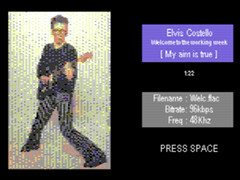 's Sidplayer was a music system, created by Craig Chamberlain and Harry Bratt, for the Commodore 64. The aim of the Compute's Gazette Sid Collection is to preserve as many of those Sidplayer music files in one location as possible. The current collection contains 15441 MUS, 4319 STR and 5348 WDS files.